Many People Wonder If Cell Phones Cause Cancer. Home » Cancer » Do Cell Phones Really Cause Cancer? Last week, we asked our Facebook readers if they thought their cell phone could cause cancer. To our shock, over 7,000 people said “no.” Were our readers right or just misinformed? We want to set the record straight. Our readers weren’t alone in their views. In the past ten years, as cell phone usage has become more rampant, more and more people have changed their views, believing that cell phone usage, or living near cell phone towers, does not cause cancer. That’s reflected in a 2013 study, conducted with university students in Malaysia, of which about 88% of students said they don’t believe there’s a link between brain cancer and cell phone usage. But does that view have any merit? The studies are mixed, like most scientific research. One multinational case-control study of brain cancer analyzed cell phone usage in eight countries and found that higher cellular telephone usage was linked to the national death index in Denmark. Other studies have found no correlation between cellphone usage and duration and cancer risk. But several epidemiological studies have dug deep to determine the role that cell phones play in causing cancer, reporting a link between cell phone use and malignant or benign tumors. Researchers believe that cell phones might cause cancer due to the radio waves emitted by cell phones. During the average phone call, it’s estimated that 30% of these emitted waves are absorbed by tissue in your head, neck, and ear. And when researchers found a connection between brain tumors and cell phone usage, the tumors were in that exact anatomical area. Researchers believe that the radio waves or radiofrequency energy emitted by cell phones does not cause cancer because it is ionizing radiation (such as radiation therapy) that’s been known to increase the likelihood of developing cancer. 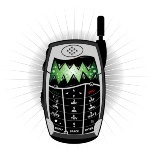 The radio waves that cell phones emit are non-ionizing rays. In fact, a case-control study conducted by researchers in 13 countries, found no statistical significance between higher cell phone usage and cancer. Another study also found no correlation between the location of brain tumors and exposure to radiofrequency waves from cell phones. A study in Denmark compared cell phone billing information to the national brain tumor incidence data. They also found no correlation between cell phone usage and a high risk of cancer. And finally, one study tracked cancer incidence in the United States over twenty years, from 1987 to 2007, when cell phone usage increased dramatically. Despite higher cell phone usage, there was no increase in brain cancer. Bias: These types of studies depend on people’s ability to recall how much they use their cell phone and how often. People often exaggerate or underestimate their habits. Morbidity: The researchers are specifically looking for a connection to brain cancer, because that seems like the area of the body that would most likely be affected. Yet, people suffering from brain cancer deteriorate and die quickly—there aren’t too many brain cancer survivors out there that we can collect data from. Changing technology: Cell phones are becoming more advanced every day and it’s difficult to study a changing phenomenon. How can you analyze the correlation of cancer and cell phone usage, when the very factor you’re studying has evolved right before your eyes? While scientific studies haven’t come to a conclusion, the fact that the World Health Organization lists cell phones as possible carcinogens says a lot. Don’t use your phone when you have a weak signal—it emits more radiation when it needs to search for a nearby cell phone tower. Don’t carry your cell phone on your body—keep it in your purse or handbag instead of your pocket. Peretti-Water, P., et al., [Risk perception of the general public of cell phone towers and cancer: trend and associated factors, 2005-2010] Sante Publique. May-June 2010; 24(3): 209-18. Al-Naggar, R., et al., “Perceptions and opinions towards cell phone use as a risk factor of brain cancer among university students in Malaysia,” Asian Journal of Medical Science 2013; 4(1): 1-4. “Cell phones and cancer risk,” National Cancer Institute web site, June 2012; http://www.cancer.gov/cancertopics/factsheet/Risk/cellphones, last accessed June 10, 2013.